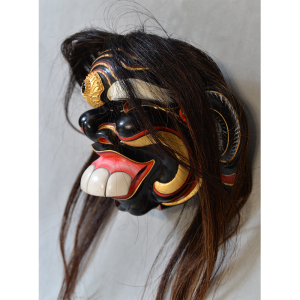 OTHER MATERIALS: horse hair; gold-plated silver ornaments; paintThe Jero Gede Macaling represent a human-like Barong supposed to be the male ancestor of the Balinese people, of Malayo-Indian origin. 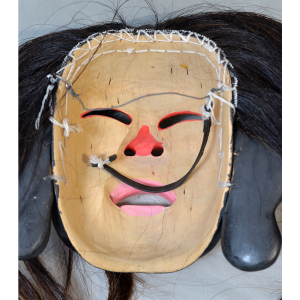 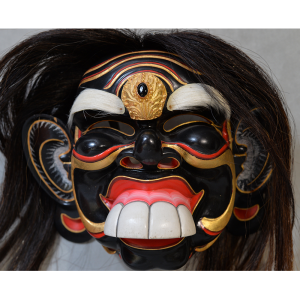 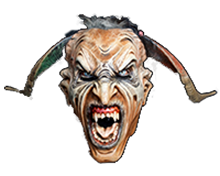 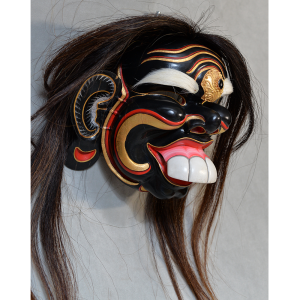 His appearance reflects demonic influence, but he is in fact harmless, because of the restraint exercised on him by his wife, Jero Luh, who represents a Chinese ancestor of the Balinese. Together, the Jero Gede and Jero Luh are paraded around the village to exorcise evil spirits, in a ritual known as the Barong Landung.